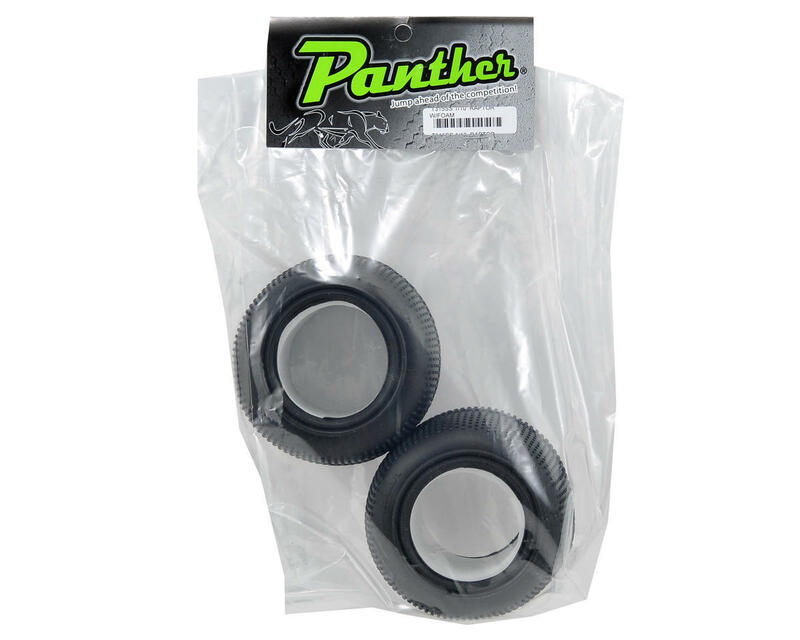 This is a set of two Panther Raptor 1/10 Truck Tires. 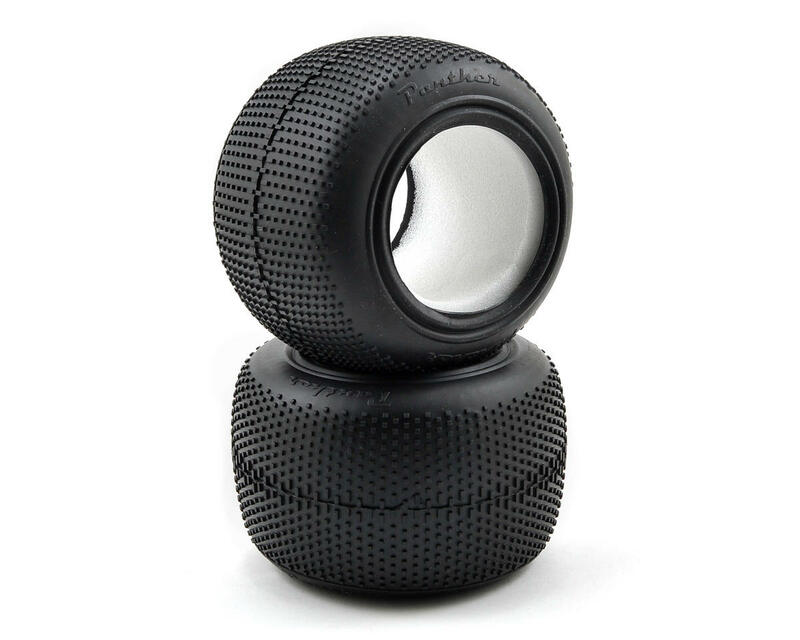 These tires fit on any standard style 1/10 stadium truck wheel, and work great for both 2wd and 4wd trucks. These tires are ideal for hard packed tracks with a light dust. The drier the track, the harder the compound of tire you should use (ie: soft when moist, med-soft when dry), and "Clay" compound is ideal for colder weather and or hard packed tracks.